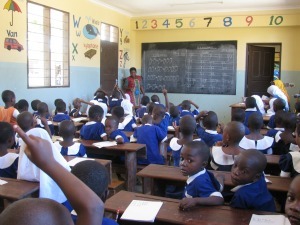 We are proud to have links with Lilungu School in Tanzania and Watafiya School in Ghana. We have visited both schools and a teacher from Watafiya has visted us. Our children have learnt about differences and similarities between the these countries and daily life there and here. They have explored the issue of fair-trade and how we, as consumers, can help make sure farmers get the best deal possible. Through discussions about fair-trade, the children began to understand that making small changes in the UK can make a huge difference to the farmers, families and local communities. 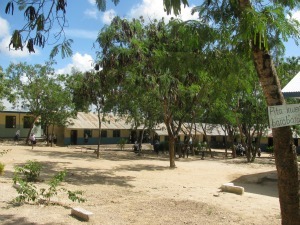 The children in both schools have been commnicating with each other by letter or email. Mrs McMorine and Mr Cooper have visited Lilungu School on numerous occasions because they are supporting the teachers with their teaching methods. Their last visit involved visiting with a sports coach to train the teachers in teaching tag-rugby to classes off over 150 children!